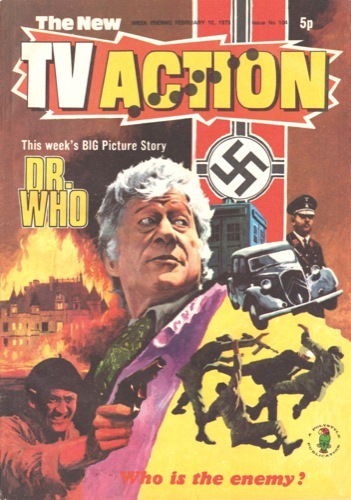 Exactly forty years ago this month, the recently renamed TV Action comic had The Doctor concluding Deadly Choice, before an unusual seven-page self-contained story in issue 104 (warranting a return to the cover). Missing two weeks, The Doctor would return in issue 107. 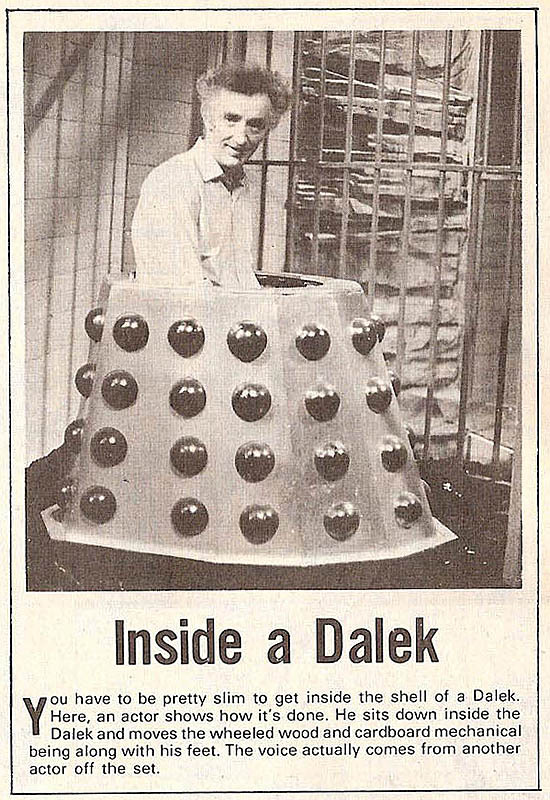 Issue 105 has a small feature on the men inside the Daleks, with a photograph of John Scott Martin sitting in a Dalek base between takes on the closing scenes of Frontier In Space. Issue 106 carried a letter from reader James Russell in London, changeling the letter in issue 101. 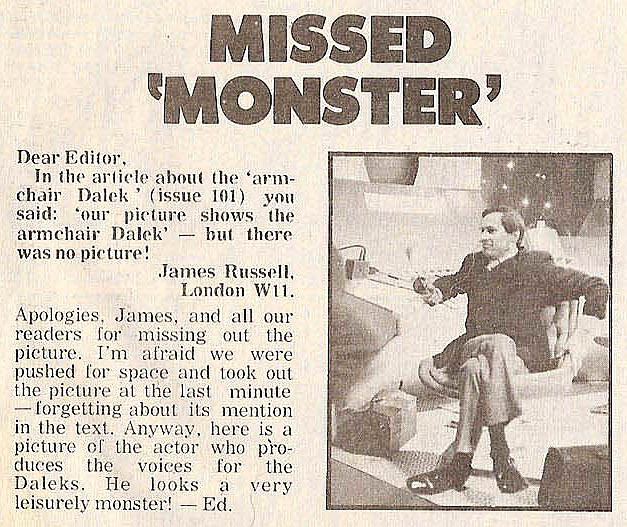 The original letter asked how the voices of the Daleks were achieved, and the answer referred to a photograph the publishers forgot to include! This omission was corrected alongside the new letter. 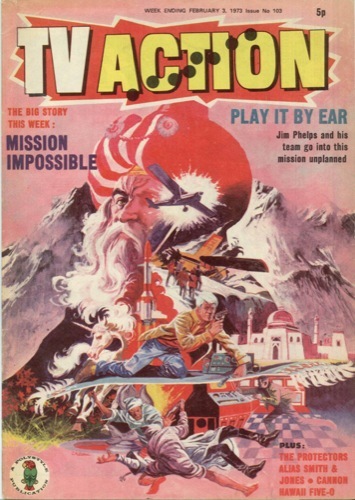 also Mission: Impossible, Hawaii Five-O, Droopy, UFO, Alias Smith And Jones, Dad’s Army, The Persuaders! 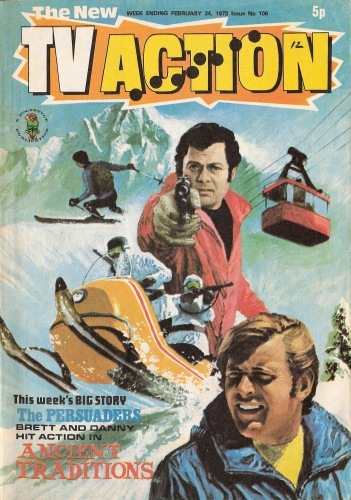 also The Protectors, Hawaii Five-O, Droopy, UFO, Alias Smith And Jones, Dad’s Army, The Persuaders! 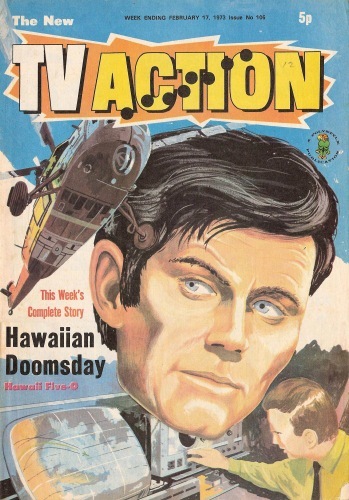 also Hawaii Five-O, The Protectors, Cannon, Droopy, UFO, Alias Smith And Jones, Dad’s Army, The Persuaders!